“As a fully qualified B.A.S.I. 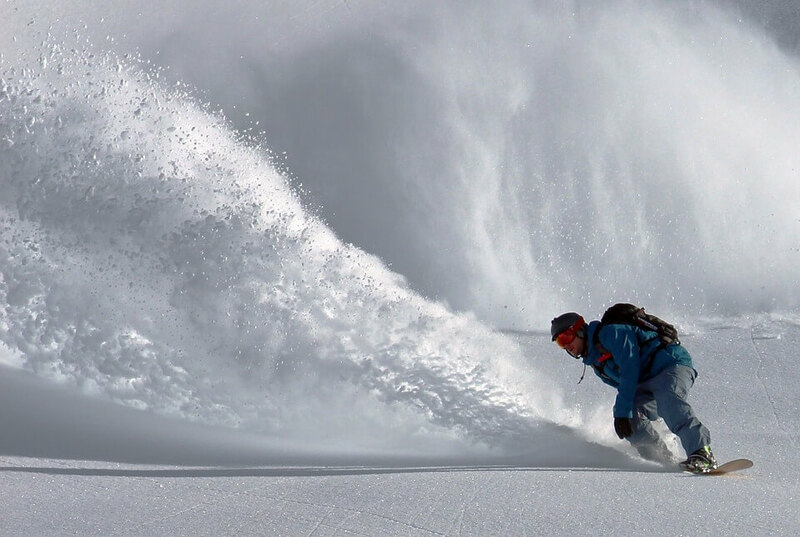 ski instructor with 30 years’ experience of skiing across Europe and North America I chose to establish the company in Morzine in 1995, as I considered the Portes du Soleil to be the best ski and snowboard area in the world. Since then, the area has got better and better. The vast Portes du Soleil is the largest internationally linked domain in the world, offering an immense variety of terrain for all standards of skier and snowboarder – including over 650km of pistes and more than 200 lifts spanning 13 linked resorts in France and Switzerland.” Mike Marshall. The Morzine-Les Gets ski sector is ideal for beginner skiers and snowboarders to progress in safety. With professional tuition from one of Morzine’s excellent ski schools, you’ll soon gain the skill and confidence to venture further up the mountain to explore some of the gentle gradients and tree-lined pistes in our ‘back-garden’. From the Pleney Télécabine, you can descend blue runs directly back to your Simply Morzine accommodation or Morzine centre. Alternatively, from the top of the Pleney you can take a trip over to the neighbouring village of Les Gets, with its array of gentle winding forest runs and wide-open bowls. On the other side of the village, towards Avoriaz, the Super Morzine sector offers some perfect slopes for beginners, set amidst lovely forest views. This is ideal territory for progression and links easily into the vast choice of more challenging blue runs which surround Avoriaz. From the Les Nants area of Morzine (where three of our properties are located) you can ski the 160km of pistes around Morzine-Les Gets on mainly blues and reds. Then head to Nyon and Chamossière or Mont Chery, where you’ll find wide-open pistes and very few people. The long runs that gently wind downhill back to our properties and the village are virtually guaranteed snow until the late season thanks to the many snow cannons (if the snow doesn’t fall late in the season, which it usually does). Avoriaz and the Portes du Soleil opens up an enormous wealth of ski and snowboard opportunities, with endless long blue and red tree-lined pistes, ‘motorway runs’ and wide valleys interlinking the whole ski area – whichever way you gaze. The Châtel ski area is superb for improving intermediates and can be accessed extremely quickly from Les Lindarets via the Chaux Fleurie 6-man chairlift. The Super Châtel ski area has some lovely long blue and red runs to improve on and due to two fantastic new chairlifts, it’s now easier than ever to ski this area of the Portes du Soleil. The fabulous full-day circuit of the Portes du Soleil – which incorporates Avoriaz, Les Crosets, Champoussin, Morgins, Torgon, and Châtel can be covered in a day by upper-intermediate skiers and proficient snowboarders. You’ll cover around 40km – without the same slope twice! The huge network of marked pistes and amazing off-piste will satisfy the most advanced skiers and snowboarders. Above Morzine, at Nyon and Chamossière, there’s some great powder bowls and fall line skiing. The black runs off the back of Mont Chery are steep and bumpy. High above Avoriaz are many steep bump runs, hidden gullies and masses of off-piste. The ‘sector des Super-Noirs’ has the Combe du Machon – a steep knee-bashing bump run – and Les Crosets where you can take on some exhilarating off-piste. The Mur Suisse (Swiss Wall) is world renowned and fiercely steep. 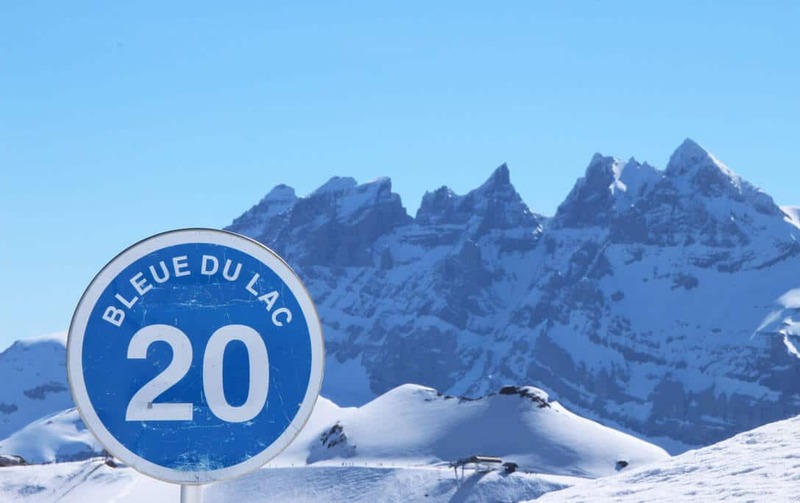 It takes you over to the Swiss side of the Portes du Soleil, where there are several black runs and plenty of off-piste skiing, including the couloirs above Les Crosets for extreme skiers. It’s possible to ski almost the entire Portes du Soleil circuit off-piste. The route covers some of our favourite runs including the Mossettes couloir, Morgins off-piste, and Happy Valley in Châtel-Linga. Snowboarding in Avoriaz: Avoriaz is one of the major snowboarding centres of the world. There’s an amazing variety of on and off-piste terrain, as well as eight board parks across the Portes du Soleil. The domain is board friendly since most areas, and almost the entire circuit, is accessible without the use of drag lifts. Freeride: Good carving terrain can be found throughout the Portes du Soleil for those that just want to cruise, with miles upon miles of well-groomed pistes. There’s a vast amount of natural freeriding potential including plenty of trees, natural hits, gullies, and rock drops. The off-piste is endless and much of it is very accessible. Trees, chutes, and small bowls of untracked powder can all be found just off the main pistes and lifts. Freestyle: The snow parks adorning the Portes du Soleil range from the huge Swiss ‘Super Park’ in Les Crosets to the parks on Mont Chery (Les Gets). 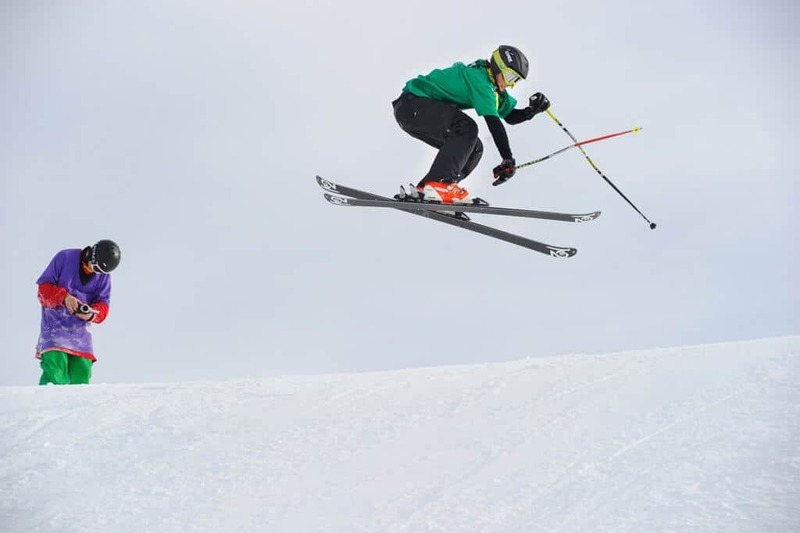 At Super Châtel, you’ll find jumps, rails, and boxes which are ideal for those who are not intimidated by giving it a go! In Avoriaz there’s two snow parks as well as a unique area called ‘The Stash’. This was built by Burton and has ramps, jumps, and rails in amongst the trees on a fun run down to the Lindarets bowl. Snowboarding holidays with children: Avoriaz is the place to take your children on holiday this winter if you want to get them into snowboarding (staying with Simply Morzine of course!) Inspired by a scheme in the US, a snow play zone in the centre of the resort aims to introduce children as young as three to the sport. 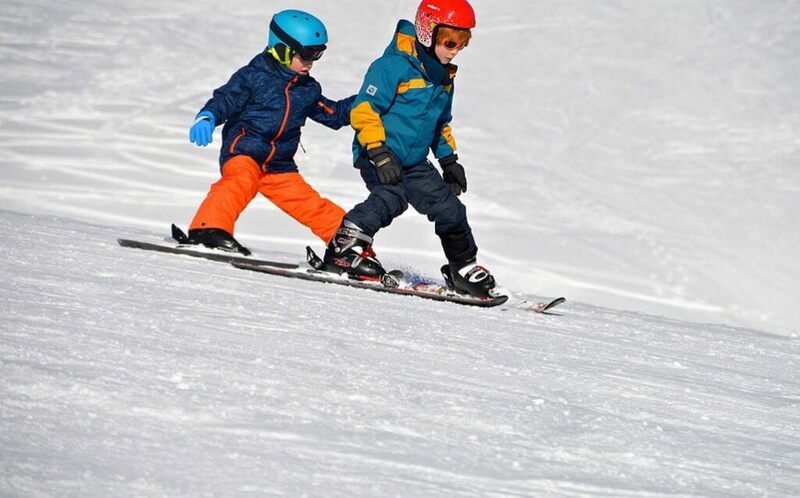 Beginner’s snowboarding lessons for children are of course also available in Morzine. Snowcross: These un-bashed areas provide skiers and snowboarders with the free sensation of off-piste in complete security. They are supervised by the piste authorities, so are clear of avalanche risk and other dangers. The top of each descent route is marked with clear itineraries and a coloured pole depicting the area’s difficulty. Cross-Country: Morzine has four cross-country ski areas. Access to the runs is free but a cross-country pass is available for the use of the lifts, which provide access to these sectors. This is the ultimate winter sport for fitness and the perfect way to discover the quiet valleys and hidden hamlets of the Portes du Soleil. Vallée de la Manche: 25km of challenging circuits. Super Morzine (Avoriaz): 47km for all levels. Pleney/Chavannes (Morzine-Les Gets): 9km of forest runs. Lake Montriond: 10km of Canadian-style runs. We recommend you download the superb Portes du Soleil Resort App before you arrive. We look forward to seeing you in Morzine and hearing all about your adventures across the Portes du Soleil come the evening! As ever, if you have any questions give us a shout.